Social media marketing is difficult. No one in the industry needs to be told that much. But “it’s hard” isn't an excuse for failure. This is often the rationale marketers and business owners use to shrug off social media. They don’t put it in those words though, of course. Instead, we hear people say, “social media doesn’t work for our kind of company,” or things like that. Maybe that’s harsh. It’s also true. The path to success starts with pushing beyond this way of thinking. Too many companies create social media accounts -- and then throw in the towel when they don’t see immediate results. Others maintain a social presence because they think they need one -- even though it’s not driving results. In either case, the missing piece is having a social media plan that works. And we can help with that! In this post, I'll show you how to create a social media plan that'll help you increase brand awareness, drive traffic, and increase conversions. What Is A Social Media Plan (And Why Do I Need One)? Building an effective strategy for social media takes time. But it's time well spent! An effective plan is essential for assuring the success of your overall social media marketing efforts. In short, an effective plan helps you do better and work more efficiently... with less stress. Before you do anything, you need to know why you’re on social media in the first place. Knowing how to set worthwhile goals is important! It’s also a deep topic worthy of a post all by itself. Fortunately, the folks at Simply Measured put together an excellent post on social media goal-setting to get you started. Before anyone panics, the kind of audit we’re discussing does not involve getting called by the IRS. We’re talking about evaluating your current social media presence and doing some housecleaning. Curious how to know which channels are right for you? 1. Is my audience on a given channel? If you’re unsure, there’s an easy way to find out -- creep on your competition. Browse their social media presence. Make note of which networks they’re on, how large their followings are, and whether or not they appear to be driving engagement. 2. Do I have time to invest in this channel? Stagnant social media channels will leave visitors with a negative impression of your brand. Avoid this problem by not taking on more channels than you can handle. 3. Can I tie success on this channel back to actual business objectives? Social media can support a number of business objectives. The key is to simply make sure you’re intentional with your efforts. It's also important to understand how those efforts impact your business. 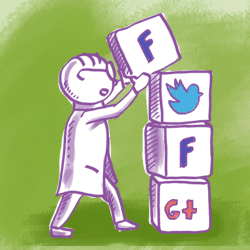 Once you’ve selected the social media channels you’ll use, the next step is to optimize them. Are your bio sections fully filled out? Have you included links back to your site? Are attractive cover photos in place? This is simple stuff that’s worth checking on before proceeding. You might find some surprising oversights which can be fixed quickly. Skilled writers and social media specialists are not necessarily skilled designers or videographers (and vice versa). 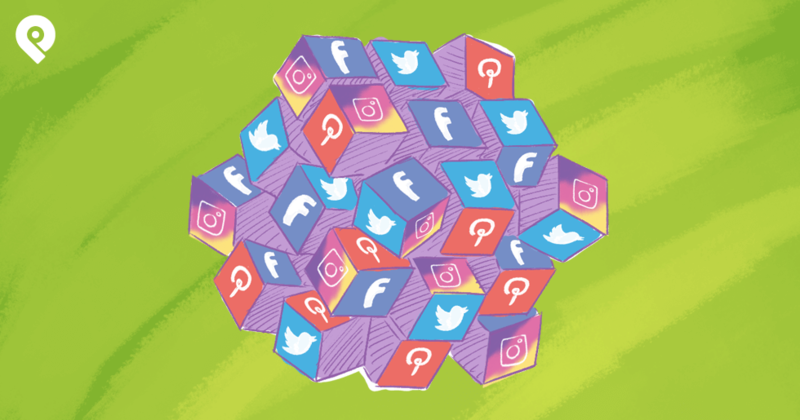 But if you’re working with a small team (or even working alone) -- you may be struggling to create all the assets you need for a successful social media plan. Here are some way to address these common problems. 1. Not sure how to shoot your videos? Shoot video with your phone! You probably won’t win any Emmys, but most smartphones can shoot video well enough for basic social media marketing purposes. 2. Don’t have a designer on your team? Use graphic design tools like Canva and Info.gram. These options are perfect for non-designers needing to create appealing images and infographics quickly. 3. Need a more powerful image editor, but can’t afford Photoshop? Try GIMP. It’s a free open-source image editor that replicates much of what you could with Adobe’s software. Marketers often struggle to find content they can share on social media. If that sounds like you -- it may be helpful to start with content you’re already creating elsewhere. Odds are, you’re already producing some of these items. Why not share them on social media too? When thinking about sharing content and engaging on social media, here are some things to consider. Want to lose friends fast? Only talk about yourself. It’s annoying. This kind of self-absorbed behavior is just as off-putting for brands. No one wants to follow an account that only shares it’s own content. We’re talking about social media here, after all. Avoid this trap by building content curation into your plan. Put together a list of 2 dozen blogs and news sources related to your industry. Choose outlets that publish content relevant to your audience. Mix curated content into your content calendar (more on that in a bit). Video is growing in importance on social media. This is particularly true on Facebook, which delivers higher visibility to video uploaded directly onto the platform (rather than shared from an external link). Plus, Twitter allows you to shoot video (up to 30 seconds long) within its mobile app on iOS and Android. Marketers commonly want to know the best times to publish on social media. But it’s tough to find clear-cut answers to this question. Different studies show somewhat different data. Plus, different audiences may engage more on different days or times. Visit your Facebook page. Then, click into Insights and find the Posts tab in the left-hand navigation. You now have a clear picture of the times your fans engaged most with your posts. To gain deeper insights, click the Post Types tab. This will show you how much reach engagement you received on videos, photos, and link posts. 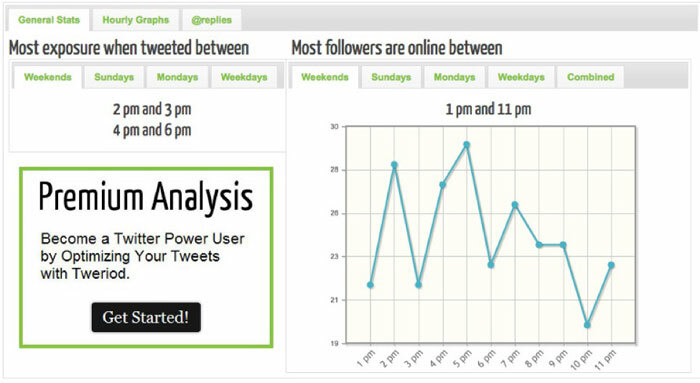 Tweriod is a free tool that analyzes your Twitter followers to determine when they’re most active online. The only caveat is it only analyzes up to 1,000 followers with a free account. Paid plans can analyze up to 50,000+ followers. Log into Twitter and find the Analytics tab. Compare the number of tweets to the number of impressions you see each day. Take note of what appears to perform best. Then, adjust accordingly moving forward. If you’ve never used a content calendar before, let’s assume you’ll build one using a spreadsheet. To make this process easier, we’ve created a free content calendar template in Google Sheets. Feel free to make a copy. You may need to add or remove channels to suit your purposes. It might also be necessary to add or remove rows depending on the number of posts you’ll create on each channel. Add your content in each cell, on each day, for each channel. Be sure to follow the posting schedule you established in the previous step. You can either add your actual copy, images, and video links you’ll use, or simply note which times you’ll post. Mix up the different types of content you post. Avoid reposting the same content too frequently. Using a calendar makes this easy to avoid. Remember the 5:3:2 rule we mentioned earlier when completing your calendar. It’s as simple as that. Plus, if you use Google Sheets (or Microsoft Office 365 with Excel), your entire team can view your calendar in one place. Stepping up to a calendar app adds several key advantages. There are bound to be several important dates for your brand throughout the year. These could include holidays, annual events or product/feature launch dates. There’s nothing worse than scrambling to create content for a day or event at the last minute (except for completely forgetting the day altogether). The solution? Pair your calendar with Google Calendar reminders. It's easy to do! Step 2: Create a Google Calendar event for each date. Set an email reminder for each one to alert you two weeks in advance. Step 3: Copy the link to each calendar event. Step 4: Use a URL shortener to cut the URL down to a manageable size. Step 5: Paste that URL into your calendar. This tip also works for anything else you’re prone to forgetting. 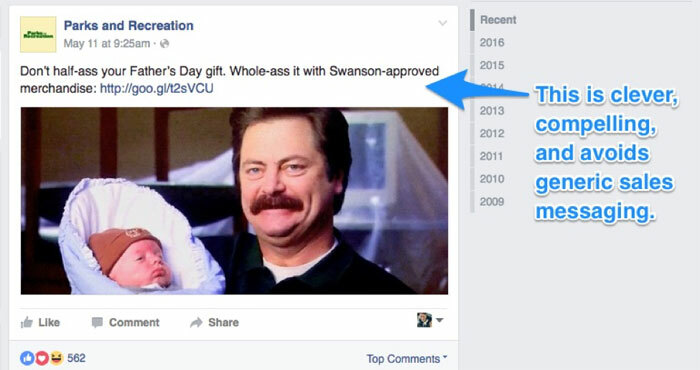 Planning well-coordinated social media campaigns is near-impossible without a calendar. Here’s how to use one to plan your content across channels. Step 1: Craft your campaign content. This includes writing the posts and gathering the images and videos for each post. Step 2: Paste the assets from each post into your calendar. It may be easiest to include Google Drive links to photos and videos. Step 3: Place each post logically throughout your calendar, applying the concepts we’ve discussed earlier in this post. Step 4: Devise some type of color coding scheme. You could choose colors to separate different campaigns and curated content. Or, you could use color-coding to notate text posts, video posts, and image posts. Here is an example of what your calendar may look like when it’s complete. By creating content ahead of time, you can easily space similar messages across channels to avoid redundancy. A plan is nothing without goals. Goals are nothing without data to measure success. Knowing which metrics to monitor is key to knowing how well you’re doing. Effective measurement is also important for building a case for social media to your boss or company CEO. If someone asks how you’re helping to drive revenue, you want to have a good answer. Otherwise, you may find your social media plan getting kicked to the curb. This can get deep. In order to be data-driven, look at these 5 areas. Curate. Share valuable content and show you’re a reliable source for quality information. Engage. Put yourself out there and join in discussions on social media. Include social media follow and share buttons on your blog and website. Be consistent. Stagnant social accounts turn away would-be followers. Start a group on LinkedIn (or both). 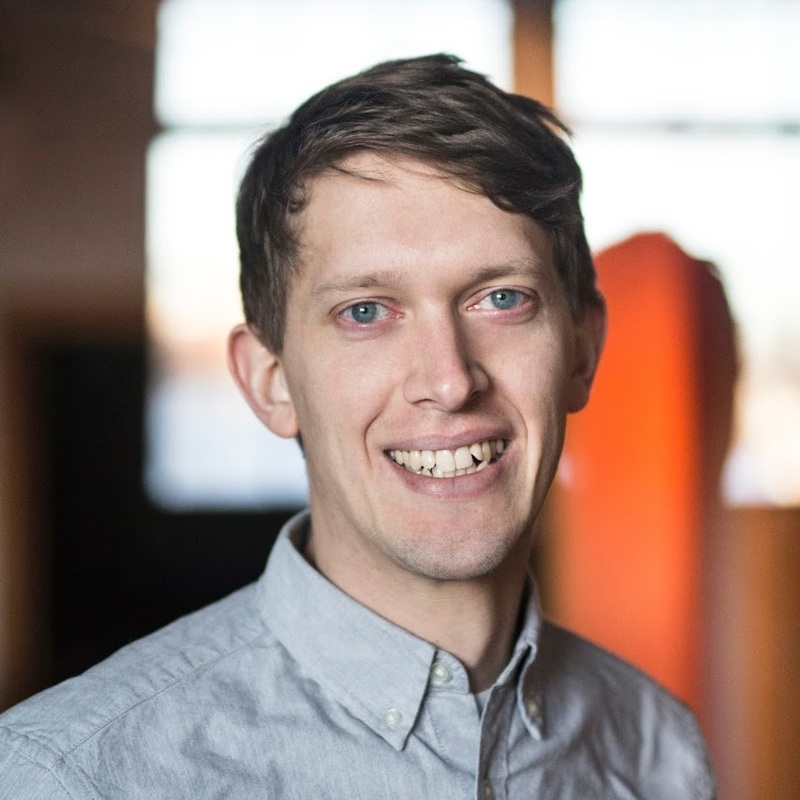 Hubspot has an excellent guide on how to build an effective community. Build a great product or offer a great service. Social media will not hide nor compensate for having a weak product. This is likely a big one for most companies. Before you can drive conversions, you typically need to drive traffic back to your site. The easiest way to track this is with Google Analytics. Log into your account, then click through Acquisition > Social > Network Referrals. 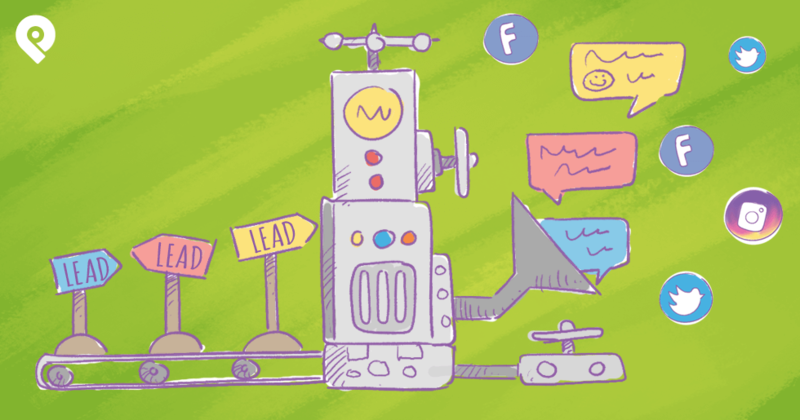 Driving conversions from social media traffic isn’t necessarily easy. Like we’ve said earlier, that’s no excuse for failure (not if you want to keep your lights on and a roof over your head). Run a contest using a dedicated landing page to capture entries. Build a social media campaign directing your audience toward your conversion step. 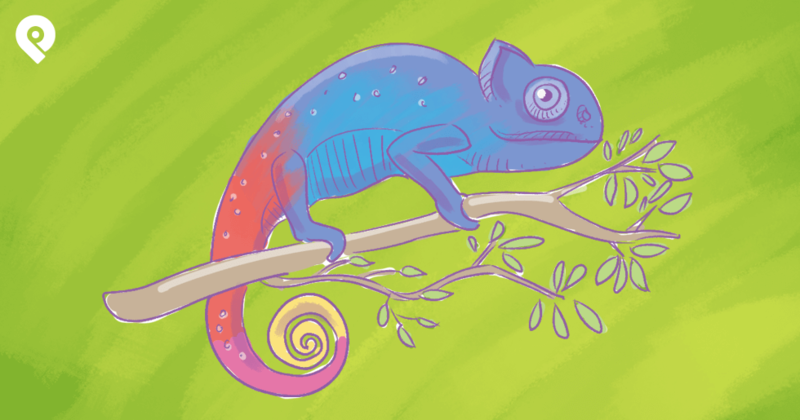 Leadpages has an excellent post on how to do this well. Write social media copy that teases a benefit for clicking your link (without sounding overly sales-y). 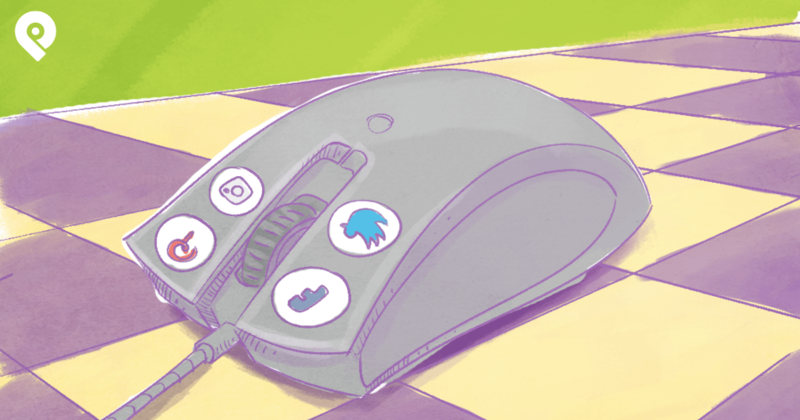 Your organic social content shouldn’t sound like advertising. Instead of including a hard advertising-style CTA in your posts, try crafting copy that naturally entices those clicks. Here’s a solid example. Make use of Facebook’s cover photo call-to-action buttons. See the Google Analytics screenshot above? 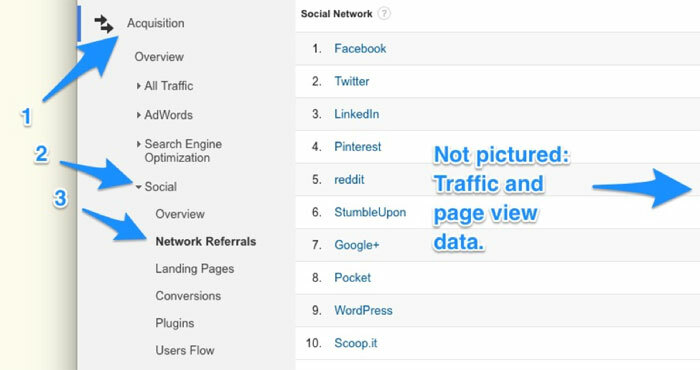 Click into Conversions (two spots down beneath Network Referrals). Social media offers opportunities every day to make connections with your audience. The direct monetary value of all those likes, comments, and shares can sometimes be difficult to measure. But they do show positive sentiment toward your company and work to reinforce your brand. 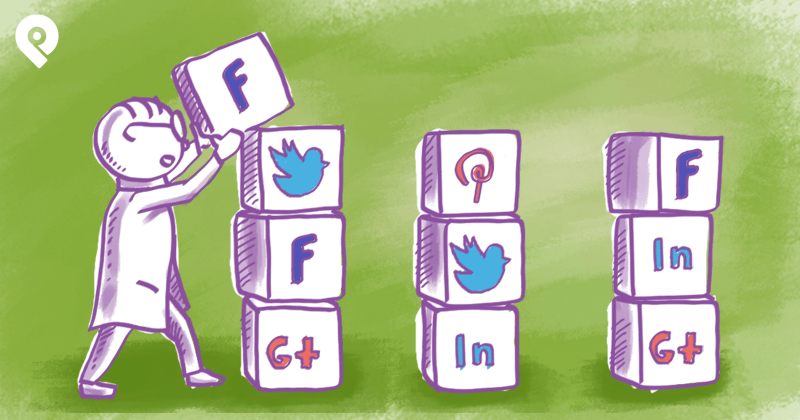 Are you ready to rock on social media? Hopefully the tips offered in this post will help you create a social media plan that works well for you! You now have the knowledge and skills to come up with just the right strategy for your business. Remember, social media success doesn't happen overnight. But the long-term benefits for your business are priceless and well worth the time spent! And if you'd like to try CoSchedule, you can! Post Planner readers can sign up for a free 30-day trial with CoSchedule here.